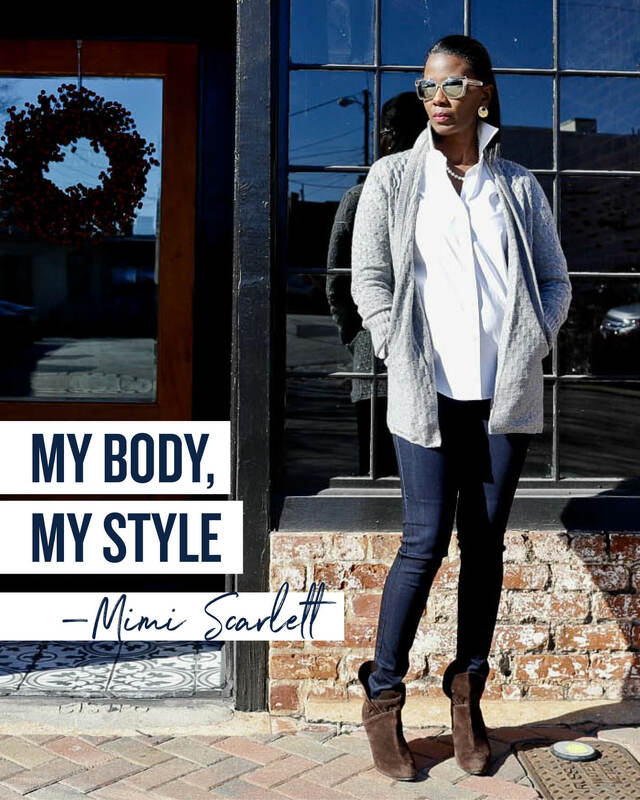 Keep reading to see how Mimi of Unlikely Martha learned how to dress her shape! My personal style is extremely classic, but I like pieces that can be easily mixed and matched. I’m not against trendy items, but they’re never my investment pieces. In my love for classic style, I rarely deviate from gray, black, white, blue and brown! I’m very slender—and my legs and arms are extremely long. The most flattering pieces for my body are ones that are fairly fitted or bulky. As far as length goes, I prefer pieces that hit at the knee or my ankles, there’s no in between because my legs are so long and slender. Trial and error! People like to believe that because you are slender you feel comfortable wearing anything. I’m not particularly fond of how skinny my legs are so I don’t wear short skirts or shorts. I’m most comfortable with items knee or ankle length. There’s no in between! I always pair bulky or loose items with a fitted piece to give my look some dimension.